Chris Verrill, of Augusta, repairs a torn piece of vinyl on his Wacky-Wire game during set-up for the Skowhegan State Fair on Wednesday. 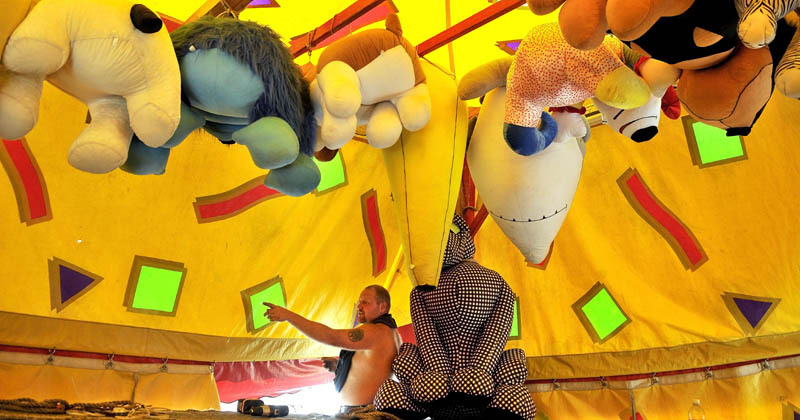 The fair opens Thursday morning and runs through Satuday, Aug. 18. For more information, visit the Skowhegan State Fair website.